We want to thank you for contributing to our kids' success. Because of you, your prayers, your time, and your investment, our work continues to bless struggling at-risk youth, teens, and families, creating transformation for our community's future. As Christ said, "Whatever you do for the least of these brothers and sisters of mine, you do for me." (Matthew 25:40). Will you support "the least of these" children and families through your contribution? 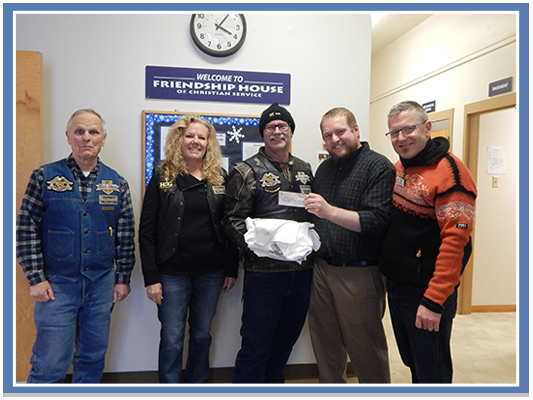 Friends of Friendship House offer weekly, monthly, or quarterly contributions to benefit "the least." There are numerous ways to be a Friend. Sign up for recurring donations through our website, call us to set up recurring payments by phone, or simply mail a recurring gift – we'll send you return envelopes to make it even easier. The best way to sustain Friendship House's long-term future is to provide for our endowment fund. An endowment is a set of invested financial assets that provides investment income. 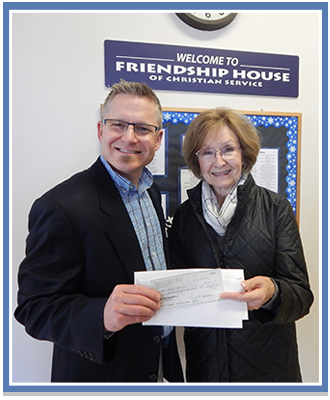 Contributing to the principal grows Friendship House's endowment and increases our yearly income. Providing for the endowment is a lasting way of ensuring Friendship House's future, and provides a legacy for you. A planned gift to the endowment can qualify you for Montana's Charitable Endowment Tax Credit. Talk with your financial advisor or tax professional regarding planned giving and how this important tax credit works for you. It is often much better than a simple tax deduction! To directly contribute to the endowment fund, simply designate your donation for the endowment on Friendship House's return envelope or write "endowment fund" in the memo line of your check. If you are interested in learning more, call to speak with our executive director regarding donating, particularly planned gifts, to Friendship House's endowment. Your spouse and your family are your most important legacy. But do you desire to leave a lasting legacy to the community? One of your best ways you can provide is to designate Friendship House and/or Friendship House’s Endowment a portion of your estate in your will. Speak with your estate planner to simply designate Friendship House. The kids and families we serve would be blessed to a part of your legacy. Should you take this bold step in faith, please let us know with a phone call or email to know your legacy of care will last forever! Planned gifts, such as estate gifts or charitable gift annuities, are an excellent way to provide for the future of Friendship House, create a legacy, and reduce taxes to your beneficiaries. Planned gifts can qualify you for Montana's Charitable Endowment Tax credit. Talk with your financial advisor and estate planning professional about including Friendship House in your planned estate giving. Friendship House welcomes gifts of stock, life insurance, and real property/estates. If you are age 70 and have an IRA, the IRA Charitable Rollover gifts may be for you. These gifts from your IRA are tax-free and count toward the required minimum distributions you must take annually from your IRAs. Speak with your financial advisor for more information on the benefits, ways, and means of using the IRA Charitable Rollover to benefit Friendship House.